Home→Q & A→Cash or Accrual? ← Time to get those 1099s out! 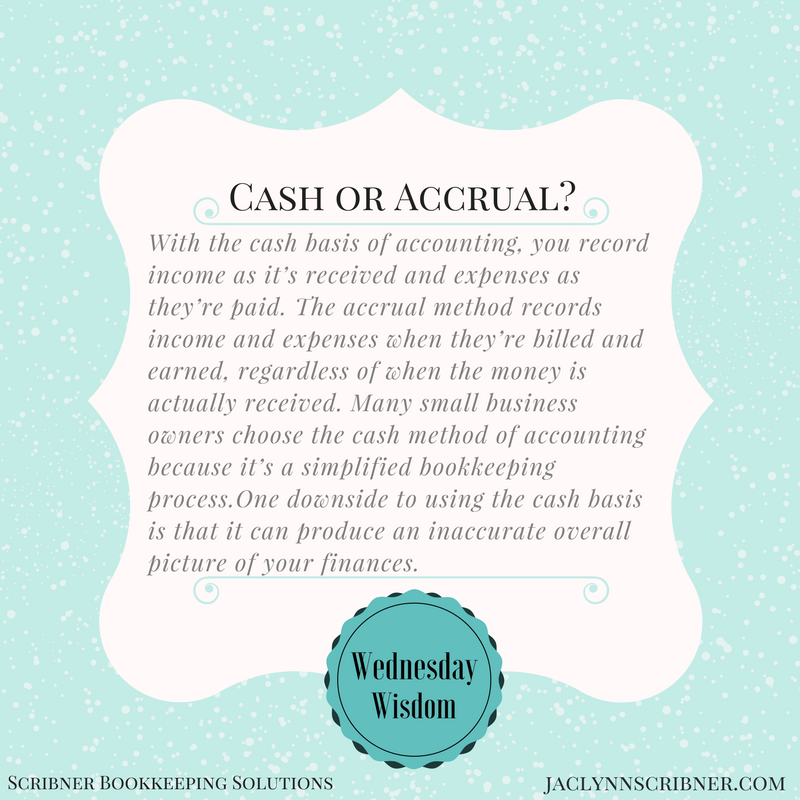 Do you use Cash or Accrual basis in your business accounting? For most of us, cash is more simple although accrual will give you a better idea of what is happening when in your business. Unless you have inventory, most of the time you can choose to use the cash method of accounting.